Sometimes in my line of work, we get a bad taste in our mouths for certain products. Glass products are my favorite to do and my least favorite at the same time. 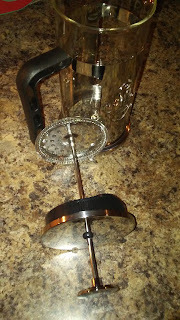 I have had some bad luck with other products, especially with french presses. Many companies don't pack them right and they come cracked or totally broken. After that you have to go through the annoyance of ordering another one. Which is why, you don't see many on my page. When I saw this one on Tomoson though, I had to check it out. Most are plain glass and pretty boring. The details drew me in and I decided to take a chance on it. It came wrapped in a bag, bubble wrap, and inside a box, which was inside another box. It came in perfect condition. It was just as pretty as the pictures made it look. 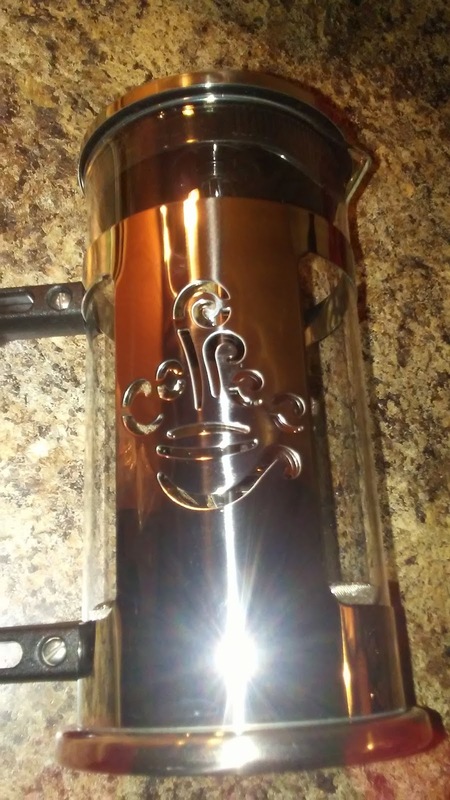 The etched glass is a nice touch. It is not boring at all and you can feel comfortable leaving it out as part of your kitchen decor, when you aren't using it. 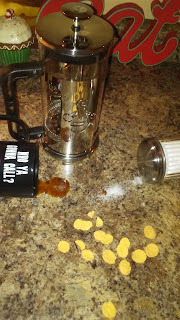 I was surprised by how thick the glass is. I believe that is another reason why it was able to ship safely. Everything is very classy and like I said would add to your kitchen decor. It all seems made well and very sturdy. The handle could look a bit better, it kind of takes it down a class, but it is sturdy and not uncomfortable, so I can't complain too much. 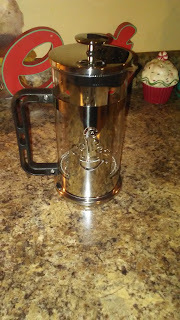 We like coffee here, we just don't do it much, which is why I like the idea of a french press. No cords, nothing to plug in and set to work, and no wasting electricity. Coffee, Water, and a bit of elbow grease make this work and it is awesome. I'm burning calories, before I take them in. 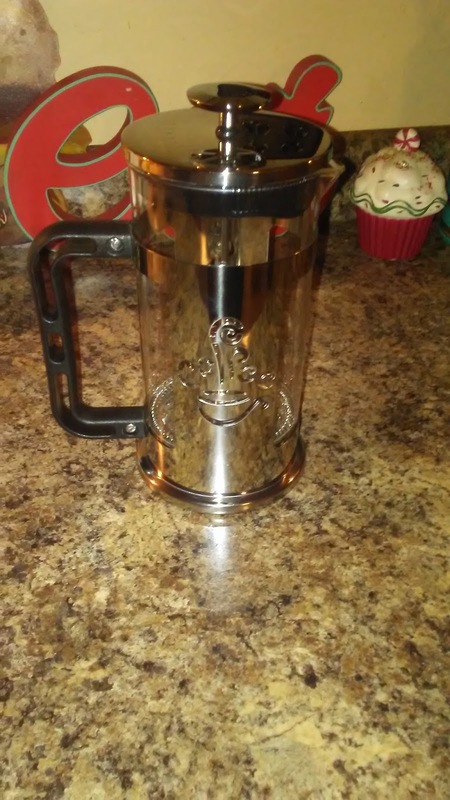 All in all, I am very happy with this french press. 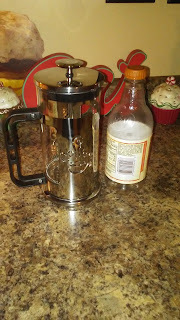 We have used it a few times and the coffee tastes great. I really like the look and quality of it as well, plus anyone can do it! I received this product in exchange for my honest review. All opinions are my own and I was NOT influenced to leave a good review.